The History Quilter: It's Giveaway Day! Welcome new and returning visitors to The History Quilter blog. 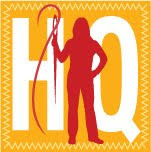 For those of you whom are new to The History Quilter, welcome! If you are a podcast listener and love quilting, garden, cooking and a few other things I throw in, please check out my podcast called The History Quilter which you can find on iTunes and Podbean. It's finally here! The wonderful, amazing, time-killer Giveaway Day hosted by Sew Mama Sew that happens twice a year. We've all waited seven months since the last one and today is the day. Get ready boys and girls...here we go! 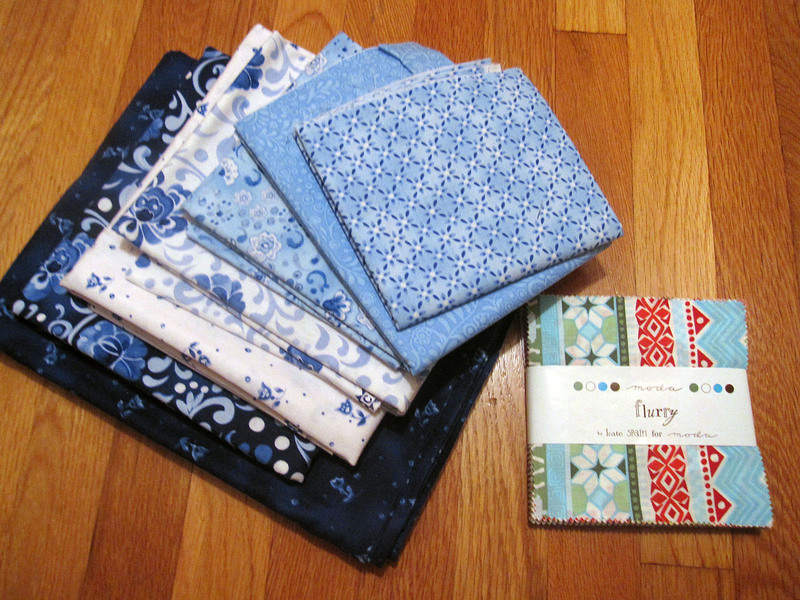 It's all about the quilting fabric in this Giveaway. A kit and a charm pack. Don't they sound cute together? For the Kit: Hungarian Blue by Sue Zipkin for Clothworks. Includes all the fabric to complete the quilt top and binding (no backing fabric) which measures out at 61" x 78" finished. I've used this fabric on two other projects and I just love it as the colors are vibrant and....blue. My favorite color. Go here to see the pattern pdf. 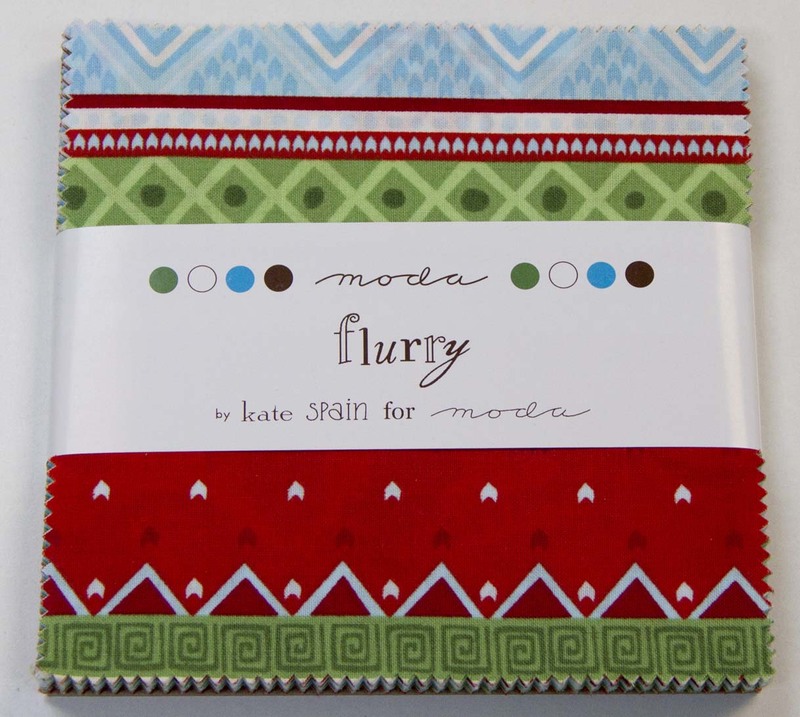 For the Charm Pack: Flurry by Kate Spain for Moda Fabrics. 42 squares of assorted reds, greens, blue and whites just waiting to be quilted up into a table runner, place mats or perhaps small Christmas bags? 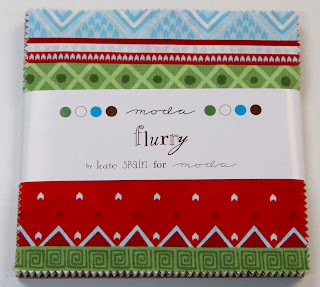 Vanessa of V & Co. has a wonderful tutorial for bunting made with a charm pack called Moda Charm Pack Celebration Flag. Before I continue PLEASE make sure I can get in touch with you. It's a major bummer to read a super cool comment from someone whom I cannot reply back too. This giveaway will be open until Friday, December 16th at 5PM PST after which I will chose a winner within 24 hours and have the package out the door on Monday, December 19th. Who can enter: Anybody as I am happy to ship anywhere in the world. How to enter: Leave me a comment about something new you have tried, somewhere new you have gone, someone new you have met,etc. - tell me about new things that have been discovered in your life. If you can't think of anything - go with one of my favorite subjects: food. Enjoy Giveaway Day...or Giveaway Week as some of us are calling it....and Good Luck! Click here to go back to the Sew Mama Sew Blog for more linkups. Last weekend, I tried a new recipe. I made Red Velvet Crackle cookies. They are on Mmmm is for Mommy's blog. Super yummy! I am enjoying discovering new recipes on Pinterest! Cheesesticks, meatballs, etc. Hmm.. I tried quilting with polyester batting. It worked but I really like cotton (warm and natural) a lot better. I just made a new tree skirt for our tree & it's amazing how a new little project just brightens things up & gives you such pleasure! The giveaway days are definitely time-eaters, not just getting round all the posts, but finding so many lovely new bloggers to fill up my GReader! I had a new type of french toast at a restaurant and am now trying to find a recipe to duplicate it. Add egg, flour, baking soda, cinnamon, nutmeg, ginger and salt to the butter mixture, gradually; mix well. Drop by teaspoonfuls with two (2) inches between each cookie onto the cookie sheets. Do not over-bake (bottoms will turn black when overdone even if the top looks good). This recipe makes A LOT! Cut in half if you don’t want a giant pile of delicious cookies. oh what fun!! um... i'm watching a new (to us) children's show called Pocoyo... and gutlaughing with my little girls! I tried designing my own table runner and about pulled my hair out! I really wanted to throw it away but it was for a swap partner and that wasn't an option! She loves it and that is all that matters. Thanks for the great giveaway! I have just finished a new cardigan and a new quilt. I had a great trip this year and discovered the north central California coast. We went to redwood forests with original growth, wineries and whale watching. There are artist colonies and lighthouses, tide pools and old homes. We loved it. Not usually a huge fan of almonds but after trying hershey kisses with almonds I am totally hooked..yum! Peanut Butter and Jelly Cake - Delish! hmmmmmmmmmm. Let's see I'm always doing new things. But, my Beachgreens order came with a great new recipe using Butternut Squash and Collard Greens (or Kale) made into a savory bread pudding. It was very yummy. I have moved to TX a month ago...so living in the US, that´s it. I've tried fmq'ing.. failed, but tried, its my new years resolution! I just made myself some fingerless gloves using a pattern I got on ravelry and I LOVE them! So much that I'm making one or two more pairs! A recent recipe discovery is Shoo-Fly Cake - a yummy cake version of the classic Pennsylvania Dutch treat, Shoo-Fly Pie. I made a chocolate sheet cake this weekend. It was the first time I made it, but I remember my mom making it for us on special occasions many years ago! I recently tried making butternut squash macaroni and cheese - SO DELICIOUS! I recently discovered I love frozen yogurt! A new place called Yobe opened near us and it is divine! I recently tried falafel. I tend to have the palette of a 5 year old so that was a stretch for me but it was actually pretty good! I just cut out and appliqued letters onto a project for the first time ever this weekend for my step-son's Christmas stocking and I'm really proud of it! i tried Ginger and loved it. This isn't exactly new but this year I had the opportunity to go to Disneyland for the first time since I was 4 years old. It was a lot of fun to go with my kids. Ohhh I just made my daughter a Christmas quilt with the Flurry line! It's GORGEOUS!!! I adore it. I used it all up! Pulled pork. I'd never had pulled pork until we moved to the south and I love it. My sister and I made Baklava yesterday - something our Mom used to make for Christmas. We used Joy of Cooking's recipe, not the same as our Mom's (couldn't find hers), but actually better - very lemony. A few years ago I went on an oriental cooking binge and discovered that we had a lot of new favorite foods! I am trying to stay on task at work on Giveway day. Yes, something I have never tried. Made my first zipped pouch - zips aren't so scary after all! I love the way you called this a "time-killer" So true! And so much fun! My latest new thing is a YouTube channel for family videos. It's private, but a fun way to share. I just made baklava:) Thanks for the chance! I tried printing on fabric with my printer this weekend. I really like it. I'm using it to make pillows for the living room. i recently did some sewing with suede. it is fun. Something new would be knitting! I promised myself I would never knit and earlier this year I taught myself and now I'm on my 5th pair of socks this year! I love this blue fabric and Kate Spain is one of my favorites. Thank you for the great giveaway. Something new is moving to small town France, knowing no French! I moved here to rejoin my fiance just about a month ago and have been enjoying the language struggles, the food, the Christmas festivities and everything inbetween. This Christmas I made a tree skirt, which was something I'd never done before. It wasn't that hard in the grand scheme of things, but I was really proud of it all the same. I went to Iceland in November, it was spectacular! Food is one of my favorite subjects too. This weekend I tried a new recipe for pecan pie cookies. They didn't exactly turn out as I expected because they spread a lot, but they taste good! I tried to do Free Motion Quilting. I have to practise on, but it is really fun. New thing I tried this year was volunteering to serve on my community's Library Advisory Commission. My husband and I read to much (and check out so many books from our library), and I thought it would be good to support my library. I tried (successfully!) making pajamas for my kids. Now I can't wait to make more garments! I'm new to Free Motion Quilting. I discovered I CAN hand sew, I still hate it but I can do it :o) I love the blues!!!!! Thank you for a wonderful giveaway!!!! Such a sweet giveaway! I love new things too, and this year I learned to sew inset circles. Yay! I feel like all kinds of possibilities opened up with that - I don't know why I was so intimidated by curves before! I just tried making dresden plate quilt blocks and I'm kinda lovin the old fashion appeal. Wonderful quilt kit! thank you! I just ran a (in person) quilting bee. It went much better than I thought it would! I am just starting to learn to embroider. I'm doing a sampler that will hang in my daughters room, once its complete. I just tried a new cookie recipe with pudding in it. yum!! New everything! Moved from VT where I lived my whole life, to VA. New job, new state! While it might not be totally craft related, I taught myself how to build furniture this year. I built a storage bench complete with a custom padded bench top. Something new I discovered in the food category was farro. Love it. I'm new to quilting - I've been at it for about a month now. I'm having a lot of fun learning. i made pipe cleaner/borax crystal snowflakes and blew bubbles in the freezing cold. We joined a Rev war reenactment group and I am learning how to sew 18th century clothes. Merry Christmas! I recently tried eating beans. Strange but for my entire life I've hated beans. So I made some homemade refried beans and they were delicious. Here's to trying new things!! I tried hot yoga recently - it was crazy intense, but fun to do something new! I recently tried a restaurant that served a cross between sushi and french cooking. Interesting, and delicious! i sewed some cozy pj pants fo rthe first time! My new love is Pinterest. I have made so many new recipes from there. Look one up calle Chili Lime Pork Tenderloin. Oh my gosh good. I have been learning how to knit socks. Thanks for the giveaway. My newest fascination is felting wool sweaters and repurposing wool coats etc into wall hangings. So fun. I just started making waldorf dolls. I'm taking a fitness class that is new to our local YMCA. It's called R.I.P.P.E.D. It's fun; part toning, part cardio, but I'm not "ripped" yet. This is my first time to become a mother. New thing for me.. I have met a new friend this year who has a lot of the same interests as I do! She always makes me laugh when she calls! I just tried making cake balls recently, they were so good! Tried a new recipe last night that was wonderful. Sauteed green, red, yellow and orange peppers, added sour cream and served over pork chops! My something new for this week is a new food - it is my new favourite food for special occasions (if I had it all the time I would not fit in my house) it is a Pavlova layered Dessert I had at a Christmas Party this week. It is in this months Australian Better Homes and Gardens and it is to die for. I have been eating more salads lately which is new for me. I am currently doing the groundwork to try two new things - paper piecing and free motion quilting. Does that count? I tried appliqué (on a potholder). It was "meh". Didn't make me happy like piecing does! I really like your podcast, I have listening since the summer. Thanks for the giveaway, such pretty fabric! quilting is new to me. I like it. I have been making quilted items since (blush!) 1970...and what I have learned that is NEW is that I just love to make small, very intricate quilted items, and try new things when I do it! I guess that means that it IS possible to teach an old quilter new tricks! Great, huh? I just love those blues! Thanks for a fabulous giveaway. I'm relatively new to blogging and loving it. Love the Hungarian blue colors! Something I plan for 2012: make my very first own quilt (still saving up fabrics and courage) and start a language study Latin or a course in reupholstering. I recently just learned a new way to make HSTs and it really changed my whole quilting experience. ;) It's nice that something small like learning a new trick can make such a difference. I just tried making handmade soap! And it worked! It came out perfect, it smells so good! Everyone will be getting a piece of soap this year! I tried out a new recipe the other day, it was a disaster but at least I tried eh? Went raspberry and blackberry picking for the first time today. Tons of fun and came home with lots of yummy berries. Went to the country fair for the first time. Three days of crafts, costumes, food, and fun. Was a blast, can't wait to go next year. I went to NYC for the first time this year, it's enormous and wonderful! I am constantly trying new things. I'm new to sewing, brand new to quilting, new to crocheting, jewellery making, applique, embroidery, hardanger... you name it, it's new to me and I want to try it! I went to a new place to cut my hair and it turned out well. THe newest recipe I tried was Nutellla cookies, the kids loved them! I recently tried English Paper Piecing hexagons and became addicted. It is much more fun than I expected. Something new I've done recently is to join a Musical Theatre group. I've done a fair bit of singing in my time but this sort of thing is completely new to me. We're putting on Me and My Girl next April but I don't know if I'll stick it out for that long. This past summer I went to China to visit my daughter who lives there! Trip of a lifetime! Thank you so much for the awesome giveaway! Great giveaway, thank you. hmmm, something new....I made a new shaped Christmas runner this year, it's in the shape of a Christmas tree :) it can be found on Sew We Quilt. Merry Christmas! I met a new Dr. that soon will help me meet my new daughter. I love trying/learning new things. I am getting ready to give crafting with felt a try. This year has been one of NEW things! First off, January 7 I had a baby, then I started a blog, joined a church, created my first soft toy patterns, was a guest blogger, made my first tutorial, and just yesterday a project of mine was added to the Pellon projects website! Lots of NEW stuff this year, and it feels great!!! Next year, I'm going to the london FQ sewing retreat! This will be a totally new (and wonderful) experience!! Blogging is my new thing!! I just started three months ago. I love trying new foods! Last weekend I tried rabbit for the first time. Thanks for the opportunity! I tried hand quilting and I loved it! We went to Japan last month. It is amazing the difference in freshness of the sushi! Once we got home, we already wanted to go back! Somewhere new... last summer I went to Vietnam and Cambodia. It was awesome, and we saw so many interesting things. I'd go back in a moment! The fabric is just lovely. My recent discover is that I love to crochet!! This year I made a lime cheesecake off smittenkitchen! It was delicious! I am learning to do more complex blocks & am excited about it! great giveaway! I tried a new quilt tool a clover iron and I LOVE IT!! First, I LOVE those blues! Second, something new? Not a problem! I started making pottery this year. It was something I always wanted to try. I stuck my hands in the clay and BAM I haven't stopped since! I love it and I am a natural (so say my teachers). My latest "new" thing is sewing. I just started this year and am loving it!! I've been wanting to make my mom a quilt for a while, and I think she'd love those blues! :) Thanks for the great giveaway! Well - we are trying some new food tonight. Sweetpotato chips made in the oven. I also had the pleasure in trying homemade cherry jam on the weekend - wowzers. That was delicious. I love that blue! So pretty. I did two new things this year that I'm kind of amazed by. I milked a cow (for a few squirts) and drove a 4 wheeler by myself. I tried a new food, it sounds kind of lame when I think about it, but I was feeling brave at the time. It was a dip with cream cheese topped with pesto and sun-dried tomatoes. And it was delicious. I enjoyed the podcast a few weeks ago! I finally had some time to listen uninterrupted. I am looking forward to this newest one. Something new.... Hmmm.... Well, I made Irish Soda Bread for the first time last week and it was delicious! and Simple! Lovely prize, thanks for a chance! This year I started to like black licorice. It is not the grandpa candy I once thought it was. This year we took the kids to Disney World. The first time for everyone in our family. The next year will be full of new things for me (most of them are now already in the progress)... my first written grant, my first publications, finally the end of my thesis, my first patent! Hi! Fantastic blue fabrics! I do hope I win! Thank you for sharing! Something new ... this summer I had a new work taking care of rental Holiday Homes! And yes - I have tried to create first time with polymer clay! That is going to be fun! Pomegranate juice! I had it for the first time last week and it is so tasty. I recently tried polenta for the first time....now i am addicted..lol thank you for the chance to win. Great giveaway! I love meringue cake. I recently went to a new Arabic restaurant - this was my first time sampling Middle Eastern cuisine; everything was delish! I can't wait to go back! The only new thing I can think of is I am going to be a witness at a trial. Was supposed to happen today but the judge never showed up. Maybe tomorrow. I am so nervous. Recently tried a flax seed meal recipe from Bob's Mill. I tried different variations to make healthy muffins. Thank for this opportunity to have that luscious blue fabric. Loving our new Christmas Tradition: Reading "Jotham's Journey" aloud by candle light and christmas tree light each night of advent. This year I taught myself to sew. It was a completely new venture as I had never sewn before and I am so glad I did! It is amazing fun and it feels good looking back and seeing how far I have come. Never, ever thought I would like sushi. My son intoduced me to a new resturant and low and behold I realy like sushi. Especially the California Roll. this week I visited Crimson Tate, a new modern quilt store in downtown Indianapolis - it was super fun! Blend shortening and sugar together; add next 5 ingredients and mix well. Pour (this is like cookie dough so you may have to use your hands to pat it onto the cookie sheet) 3/4 of the batter into a greased 15"x10" jellyroll pan; spread cherry pie filling over the top. Dot with remaining batter (I drop it by teaspoonfuls all over the top); bake at 350 degrees for 30 to 35 minutes. Drizzle with Almond Glaze (below) while still warm; cut into bars to serve. Makes about 3 dozen bars. Enjoy! Such a generous giveaway! I knit socks and I recently tried an afterthought heel for the first time. I just meet 99 new people when I started vet school this fall. Something new for me is making almost all of my Christmas presents on my sewing machine. Never did that before! We had the delightful opportunity to visit Ireland this fall. Thanks for the chance to win. I tried a new recipe for pumpkin cake this fall. Super easy too, just a box cake mix (love using lemon), a small can of pumpkin, and 3 eggs. I also found a great recipe for a butter cream frosting that is not uber-sweet. Lovely together! I tried a new recipe for a chocolate chip cookie dough cake, delish! I've just started going to Modern Jive classes and am really enjoying it. NOthing new with me, but I love food....too much. Heading to my son's for Christmas to eat a lot of it.....grin. I am learning all about what is in processsed food as I learn to cook for someone with many, many food intolerances. Eye opening for sure. Thanks for the chance at your giveaway. I tried making Satsuma marmalade for the first time yesterday. It's quite yummy! I plan to be making more soon! We had brussels sprouts at Thanksgiving for the first time! I have learned that I must take time for myself or I am not a happy camper. I also went to the Grand Canyon for the first time and loved it. I can't wait to go back! I recently made the acquaintance of a very nice quilter who lives not far from me. This woman had left a comment on my blog, and we exchanged several emails. We will meet in person at a quilt guild meeting in January. Seems she and I know some of the same people. I'm so boring! I have only tried new sewing things. I made sleeves for the first time this past month. I just tried a Pumpkin Pie liqueur that is wonderful, and a new brand of Irish Cream liqueur called McCormick and I had a salad today at Wendy's the Baja or something like that with chili in it. It was wonderful! A new thing I've tried is lemon drop cookies made by my mother and 6yo grandniece. They taste wonderful (yes, ate more than one this afternoon). Thanks for the giveaway. I tried eggnog this year (as every year) but this year it was from a local dairy and I loved it! That has never happened to me before. I found a few new authors that I like - Clare O'Donohue and Earlene Fowler. Thanks for the giveaway! Merry Christmas! Everythin g in my life is new - we moved in June, so I am adjusting to a new state with a radically new (read - cold) climate. I am also not working now after giving up the best job in the world :-( BUT I now have lots of time for crafts and can focus more attention on my family. Change is hard, but it is an opportunity to grow! Thanks for the chance to win - I love the blue fabrics!!! The new thing that I tried recently, is actually a very old skill -- hand quilting. I made a queen size quilt for my mother for Christmas and when I went to quilt it with my machine I found out that it was too large to manipulate. So I quilted it entirely by hand. I'm not sure if I want to do that again. It looks very good, but it was quite a time consuming task. I tried a recipe for peanut butter cookies, they were yummy. Quilting was something I tried new just a few months ago and now I am hooked!!!! This year I was introduced to an interesting eatery in Portland, OR. My sister and her prince charming took me to the Hotcake House. 24/7 breakfast. I had the bacon waffle, which was Amazing with an upper case A. Crispy waffle with 2 slices of crispy, salty bacon baked right inside. Warm maple syrup. It was heavenly. I'm trying a new knitting pattern at the moment- it's not as hard as I thought it might be, thankfully! I tried cables for the first time. Not so hard and they look great! I just made a barley-chicken salad - new for us and so yummy! With grape tomatoes, avacado, bacon, edamame and a homemade dressing! Thanks for the chance to win! ryansarahn at gmail dot com. I learned how to knitt. I still stink at it, so I need some serious practice=) Thanks for a great giveaway! I just barely made pot holders for the first time. I was surprised how easily they came together and I love how they turned out. I discovered TN and KY this year and I have to say, I thought I wouldn't like KY, but I can't wait to go back and bring my kids. And I totally love TN, want to move there! I've just started going to a craft group using www.meetup.com and it has lovely people. At Thanksgiving I made a new Pie! Usually go with plain Apple (always a super big hit, though), but this time I made Apple Cranberry! Oh my, everyone (myself included) loved it! Thanks for the giveaway! Most recently I've tried a new recipie it was for pineapple upside down cake. I'm not much of a cook but this was very good! Here's something new that I'd like to try: flying trapeze lessons. I tried my go cutter to make a tumbler quilt! It was so easy! This year I have a NEW job in a NEW field! I used to be a teacher, but now I work at a neuroscience lab! WOO HOO! I just tried a new-to-me recipe for cutout Christmas cookies with sour cream in the dough (from the One Good Thing blog) and they are fantastic, the whole family loves them. Those are really fabulous things to giveaway; thanks so much for the chance to win!